Home / Products / Seasonal / Easter Candies & Pops / Milk Chocolate Foil Chicks, 1 lb. 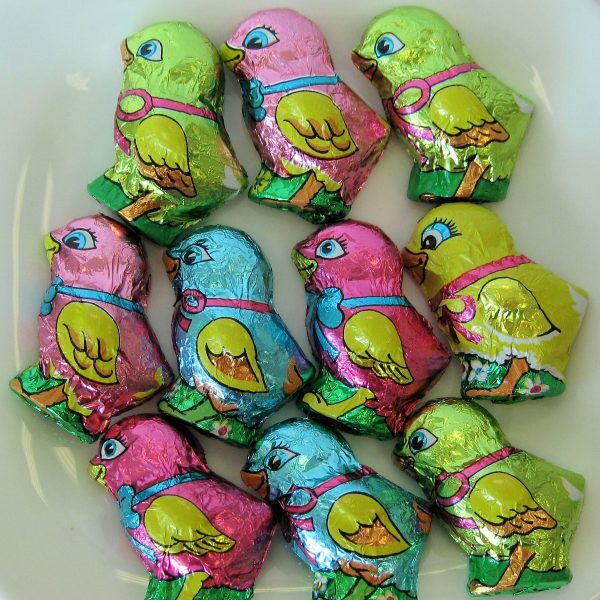 Highly detailed, bite-sized, solid milk chocolate baby chicks wrapped in colorful foils. Something different from the traditional rabbit.